Escape to the North Shore of Kauai! You will find many gorgeous beaches, sunny days, and miles of sand. Many films have been made here, and you will think you are in a movie too! 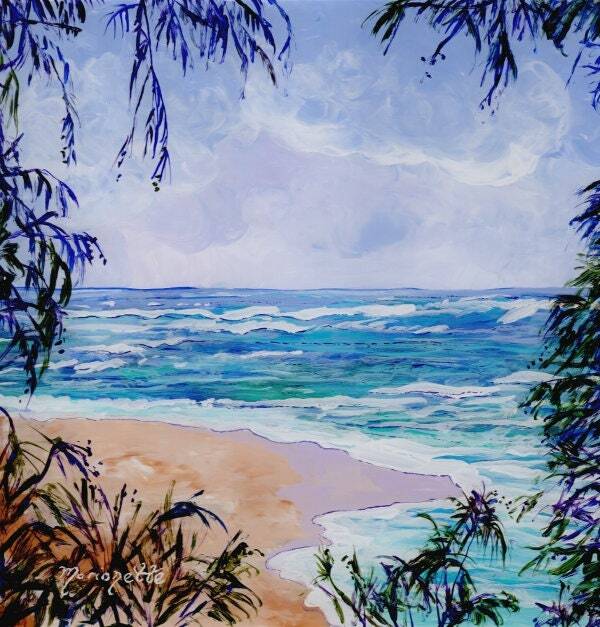 "North Shore Escape" is an original acrylic painting on plexiglass measuring 12"x12" and painted in a "reverse" style which means the foreground is painted first and the background last. The painted side is actually on the back of the 1/8" plexiglass which gives this painting it's unique look. Colors may vary slightly from monitor to monitor.